You may be aware that Revenue are making changes to the PAYE system commencing January 2019. The new system will mean that Revenue receive payroll information in real time. Effectively this means that an electronic return must be submitted to Revenue as part of each and every pay run i.e. weekly/monthly/bi weekly. 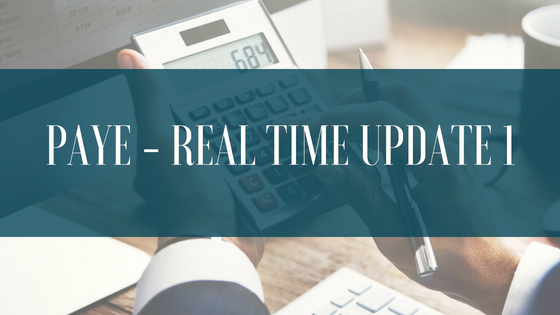 Revenue are making this change to try to ensure that, at all times, they have the most up to date information on an employee’s tax status so that correct credits and cut offs can be issued. The electronic return, which will be prepared automatically by payroll software, must be submitted “on or before” the payroll date. This will impose a greater obligation on employers to ensure that the information submitted in every payroll run is as correct and complete as possible. Corrections can be facilitated under the new system, however they may have adverse consequences. For example, they might give rise to interest or penalties in the event that they result in additional PAYE being due. In the past corrections could be handled by adjusting the annual P35 however from 2019 this will not be possible. We will be in touch with you later in the year with further updates.